Medium Porcupine Pipe is almost 10 inches tall. 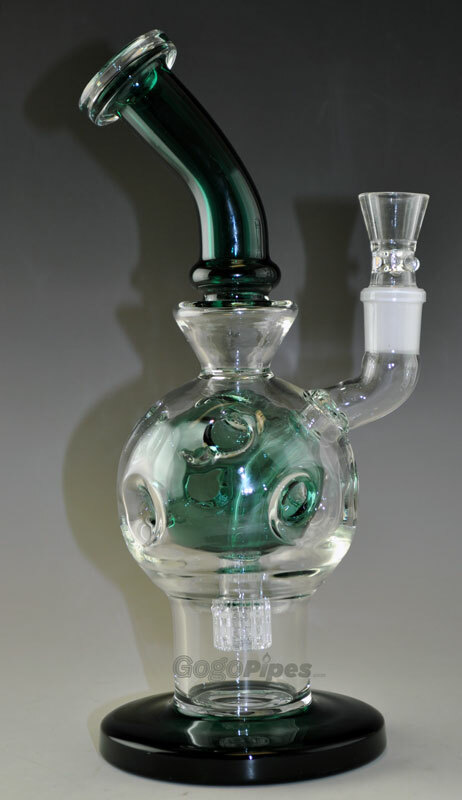 It has two different kind of percolators one is barrel and the other is dome with beautiful slits on edge. This stunning piece is high quality. The glass bowl and the joint of the piece is 18mm. The Bowl is included in the purchase. Use one of our thermal banger make a great product. Enjoy low prices on all our scientific pieces. Pros: As thick as expected, seams are smooth, no flaws I could see, works great. Shipped very well.